Audio Zenith, Dreyka and JewBear like this. US$3,999 for a 40mm dynamic driver? Nyet. The value proposition is likely as poor as your opening post is bad. takato14 and ohhgourami like this. GTABeancounter, lukeap69, Senorx12562 and 4 others like this. That smells so much marketing Bullshits.. Focal even put Chord products in their pictures ( ERR: probably not focal. CHord products were added by Head-fi )... Jeez .. it smells like Ultrasonish crap BS. Maybe not that bad sound bu nothing that can justify such a price tag. Hope for Focal I'm wrong and they really created something special but I doubt any 40mm dynamic driver would sound good enough to justify a 4K (!!!! ) price tag. Skeptical I am... to say the least. David De Lucena and brencho like this. I doubt any 40mm dynamic driver would sound good enough to justify a 4K (!!!! ) price tag. I'm genuinely curious here: what's the correlation between driver size and sound quality? Focal is no Chord and their speakers are no joke. The Spirit line was not bad. There is no headphone that can justify 4000$ pricetag and i doubt those will make an exception, but the 1000$ looks intriguing to say at least. Smitty and KurtSvensson like this. $3999 is a bottom line, i guess. Actually, it's a common marketing plan. Creating a completely unaffordable headphone that offers luxury finish and claim the 999$ one is basically as good sounding without all the fancy stuff. Too much marketing for my blood. I still stay curious to listen and measure those headphones though. @philipmorgan : I think usual 40mm dynamic drivers are limited in term of performance , especially for bass extension and distorsion in that area. Maybe I'm wrong and maybe Focal found something with their "new technology that comes from our Hi end speakers blablablabla"
Is this the one that's going to be at Source A/V on Saturday? I posted this on a profile post but: this bums me out. I love my Focal Spirit Pro, have recommended it to many pros and enthusiasts. Would love to see them do a $600 headphone to make it extra comfy but $4K? Disappointing. Even a $1K phone is higher than I want to go. If it is way more resolving than the FSP with a similar balance, and extremely comfortable, then it would be very appealing to me. But I also have an HD600 that cost 1/3 of the price they're talking about. "designed like a pair of speaker drivers"
Focal got pretty close (according to Tyll) to the Harmann target curve for hp's with Spirit Pros, so I'd think they understand the differences between speakers and headphones. I think it's ironic that their 4k offering looks worse than their 1k offering-- at least to my eyes. Yeah, the Elear looks classier. Kind of reminds me of Shure's top models. Cool aesthetics - let's hope they get the comfort right this time too. When will Tyll get these? 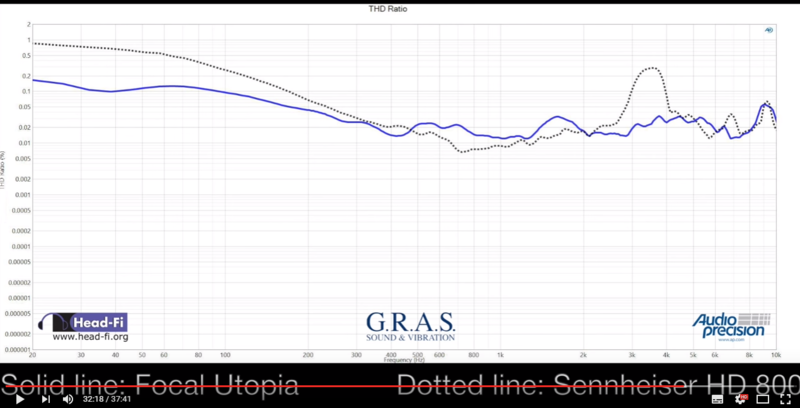 Jude is actually posting frequency response graphs and THD. OMG. Cool stuff. 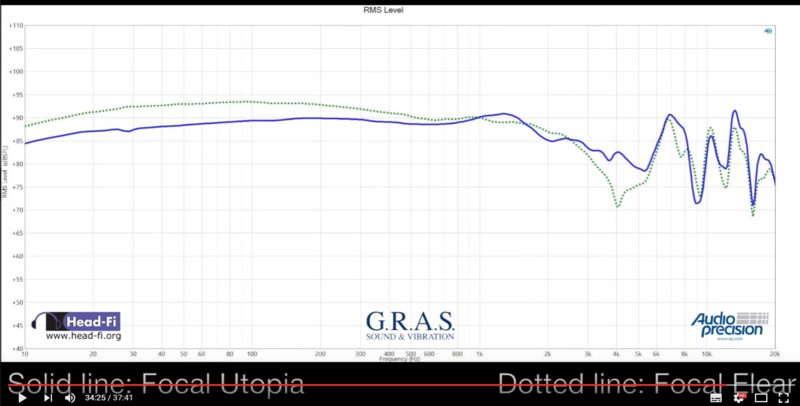 Utopia has slightly better bass extension than HD800. 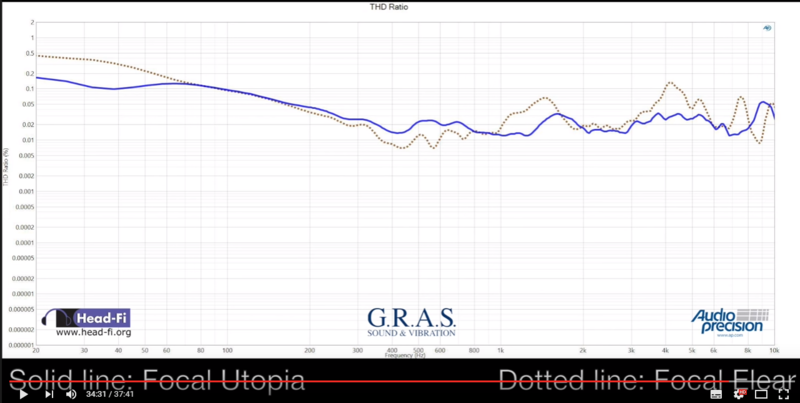 Only 3dB down at 20Hz from 100Hz. Of course a GRAS 45 is going to get a better seal than you likely would on your own head though. Bingo! Focal seems to have given up their original spirit though. This might be interesting. It's big boy audio from a trusted brand and it's a traditional dynamic driver! I know it's $4k, but that's dealer price, and I bet the build quality will be much much better than some $3k headphones put together with snot and boogers. (Let's not say who they are). I have Focals in my car - so I am definitely looking forward to this. Xecuter, Wfojas, bazelio and 2 others like this. Don't worry. Jude will only provide these on a selective basis only when the measurements are favorable or semi-favorable. TMoney, jexby, Psalmanazar and 1 other person like this.